Lent a time to Pray, Fast, Love. And Blog? Many Catholic bloggers give up blogging for Lent, but I have decided to embrace the life. And no it is not because I am rebellious and need to be different. Honest. 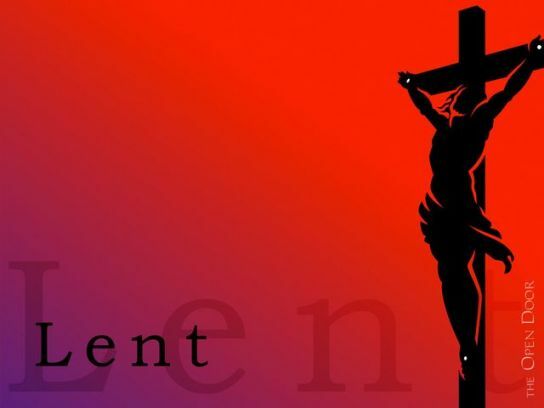 The season of Lent is a wonderful gift from the Church. So why do I struggle every year. It is not like I don’t have a large dumpster full of sins to choose from. But, except for the year that I gave up sarcasm, I have a hard time narrowing it down to the sins that are keeping me from fulfilling my Christian vocation to agape. I am going to blog every day. It came to me as I was on my way to the diocesan pastoral center yesterday morning. I was scheduled to be a guest on In The Heartland with Bishop Richard Pates a local program of KWKY Catholic Radio . Then it hit me. I am one big fraud. The topic for discussion was evangelization through technology. My last blog post was on February 11th. Gulp. To bad that there is not a Pulitzer for procrastination, avoidance, and lack of discipline, I would win. Yes I know, that I have a demanding job. So what? Who doesn’t? Besides, according to the Wall Street Journal, days are getting longer. . In the pursuit, therefore, of discipline I will be blogging for Lent and praying more. If I cultivate discipline perhaps I will grow in love for God, neighbor and family. Well all things are possible with God. This entry was posted in Liturgical Year and tagged discipline, Lent, sin. Bookmark the permalink. 2 Responses to Lent a time to Pray, Fast, Love. And Blog?